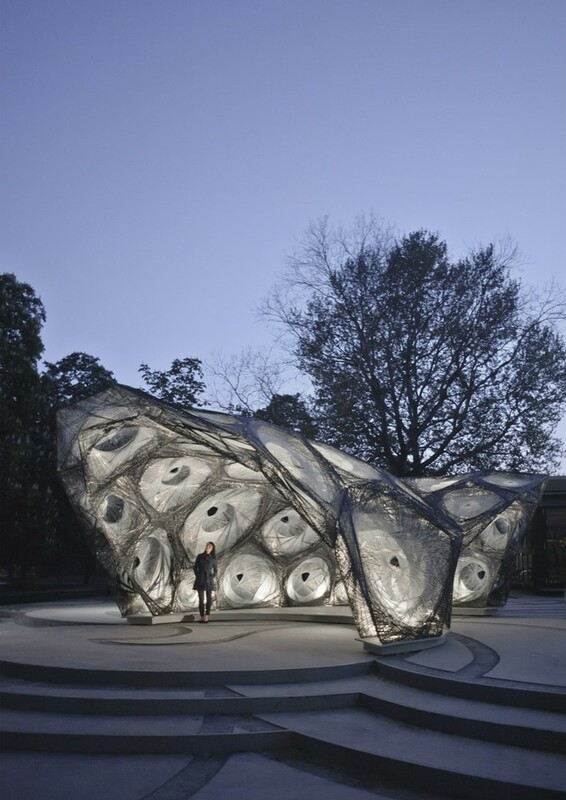 The ICD/ITKE Research Pavilion was a bio-mimetic structure constructed by the University of Stuttgart in 2013-14. It is a remarkable pavilion for the design of which various disciplines such as architecture, computational design, fabrication & bio-mimicry came together. 1. Form 2 curves along the touch points of the geometry. 2. Join these curves by lines by dividing them into equal number of points. 3. The joining lines have to be extruded into 3D curves. The geometry shall be achieved by manipulating various values & using graphs. 4. Form a surface intersecting these lines & form a polygonal grid on it. 5. Divide the sides of the polygons into points. Another layer of these polygons has to be created as per the thickness of the frame. 6. The second layer of the polygons has to be rotated and connected by lines to the points on the first layer of polygons. 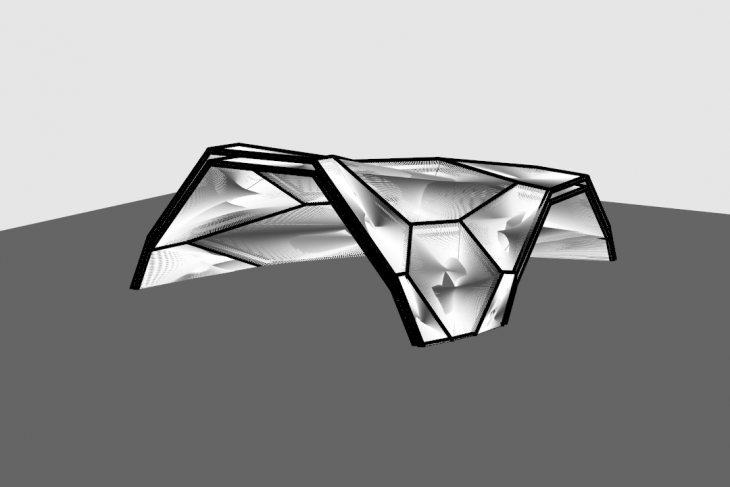 “ASSIGNMENT 02- Animated Systems” is a project of IAAC, Institute of Advanced Architecture of Catalonia, developed as part of the Computational Design course at the Master in Advanced Architecture program in 2018/19.